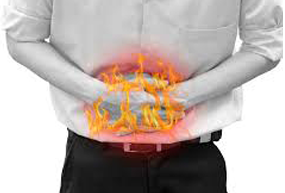 Acidity refers to a set of symptoms caused by an imbalance between the acid secreting mechanism of the stomach and proximal intestine and the protective mechanisms that ensure their safety. The stomach normally secretes acid that is essential in the digestive process.. This acid helps in breaking down the food during digestion. When there is excess production of acid by the gastric glands of the stomach, it results in the condition known as acidity. Sunamukhi (senna leaves) powder :50 gms. Haritaki: Latin - Terminalia chebula | Telugu - Karakkaya | English - Indian gallnut | Hindi - Harad | Tamil - Kadukkai Malayalam - Katukka | Kannada - Arale. Vibhitaki: Latin - Terminalia belerica | Telugu - Tanikaya | Hindi - Baheda. Amlaki: Latin - Emblica officinalis | English-Indian Goose Berry |Sanskrit - Amalaki | Hindi - Amla | Telugu - Usirikaya. STEP 1 :-Mix all the above powders with lemon juice. STEP 2 :-Triturate them to the consistency of a paste. STEP 3 :-Prepare round tablets equivalent to pea size. Children : 1 Tablet per day. Adults : 2 Tablets per day for 8 days. Take all above four ingrediants in equal proportions, mix and store. Children : 1/4th teaspoon once/twice a day. Adults : 1/2 to 1 teaspoon twice a day. Rock candy (Pattika Bellam) : 100gms. STEP1 Cumin seeds, fry it lightly. Now powder it. Keep it aside. STEP2 Rock candy (Mishri). Powder it. keep it aside. Now mix the Rock candy powder with one glass of water and boil it for 1 to 2 minutes. After 2 minutes add the Cumin seeds powder which we kept aside and start mixing the solution while boiling. While mixing the solution add 100 grams of Ghee. Small Indian gall nuts : 100 gm (Fry, pound and make powder). Somph seeds : 20 gm(Fry and make powder). Rock salt : 10 gm. Tymol seeds : 100 gm. Candy Sugar powder : 100 gm. Cow's ghee : 100 gm. STEP 1 :-Fry tymol seeds and make fine powder and sieve it. STEP 2 :-Add candy sugar powder and mix uniformly. STEP 3 :-Boil ghee till it melts completely, remove it from the stove add the above mixture to the ghee spoon by spoon and stir it well. STEP 4 :-After the paste gets cooled, store it in a glass bottle. Take half spoon with warm water after meals. Boiled asafoetida : 100 gm. Black pepper : 100 gm (Fry and pound to powder). Dry ginger : 100 gm (Fry and powder). Cumin seeds : 100 gm (Fry and powder). Tymol seeds : 100 gm (Fry and powder). Mix all powders and store. Can be used while preparing curry, dal or sambar. Curry leaves powder : 50 gm(Dry in shade, fry with 3 or 4 drops of ghee and make powder). Cumin seeds powder : 10 gm (Fry and powder). Pepper : 10 gm (Fry and powder). Coriander seeds : 100 gm(Fry and make powder). Rock salt (Saindhava lavanam) : 10 to 12 gm. Cloves : 5 gm(Fry and powder). Mix all the powders and store. Take 1/2 to 1 spoon powder in first morsel of food. Dry grapes : 50 gm(Dry in shade, fry with 3 or 4 drops of ghee and make powder). Ginger : 10 gm (Fry and powder). Somph (Big size) : 10 gm (Fry and powder). Pepper : 100 gm(Fry and make powder). Rock salt : 10 to 12 gm. Mix all grind and prepare paste. Can be taken along with roti. Vamana Dhauti, Vastri Dhauti, Agnisara. Note: The practice of YOGA must be done under the supervision of any YOGA instructor or any other proper guidance.